There are as many varied opinions on what "plan" one should follow to build muscle, as there are people who have those opinions. On one thing they do agree, however. You must have a regimen. You can begin by defining your objective. Why are you interested in body building? What do you hope to accomplish? What is your ultimate goal? It's all about commitment and belief. There is an abundance of information about how to begin and conduct your journey, but without a burning desire to achieve, you are doomed to inevitable failure. 1.Before beginning any serious weight lifting or body building regimen, consult your physician. 2.Set your goals. 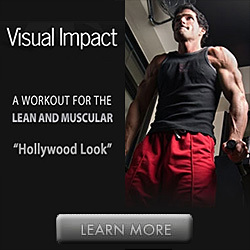 Define what you expect to achieve with your new bodybuilding campaign within a realistic time frame. If you create goals that are unattainable you are setting yourself up for failure. You can become bored, disappointed and disillusioned to the point where you may give up. This is a very sad outcome to what might have been the best decision of your life. Don't sell yourself short. Set your long-term goals, of course, but also set short-term goals that are achievable. And, don't forget to reward yourself when you do achieve them. 3.Consider the costs. If you don't already have a budget, create one. 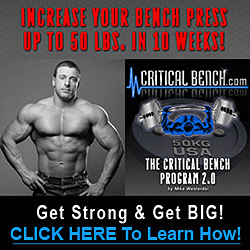 Then, determine what amount of discretionary funds you have available for your bodybuilding program. This will determine whether you can afford to have a home gym or if your needs would better be served by joining a club. Joining a club is still a good short-term introduction before spending hundreds or thousands of dollars on equipment that might not be appropriate for your needs. 4.Don't forget some of the low cost alternatives to purchasing your bodybuilding equipment. If used equipment is still functional why spend the extra dollars just for a little glitz! Good, brand name used equipment is every bit as functional as something right off a showroom floor. 5.Consider combining a home gym along with a membership in a public facility. Purchase less expensive free weight equipment for use at home and join a gym to have access to the more expensive equipment. You can design your entire workout routines around a combination such as this. 6.Eat healthy! This can't be stressed enough. The only true bodybuilding aids are good nutrition. Consult a licensed dietician. Watch your local community calendar for free seminars on diet and nutrition. Learn all you can about what nature freely provides that can help you to develop a healthy diet. 7.If you choose to use dietary supplements, make certain that you know what you are putting in your body. Follow the packaging guidelines we outlined above. Ask your physician for his/her recommendations based on the regimen you have selected. No friend, coach or acquaintance can take the place of your physician. In fact, you may even investigate finding a physician who specializes in sports wellness. 8.Be kind to yourself. Yes, it's important to push to achieve your goals, but it's very easy to tip the scales in the other direction and create a nightmare for yourself. Obsessive, compulsive behaviors are not conducive to a healthy bodybuilding lifestyle.